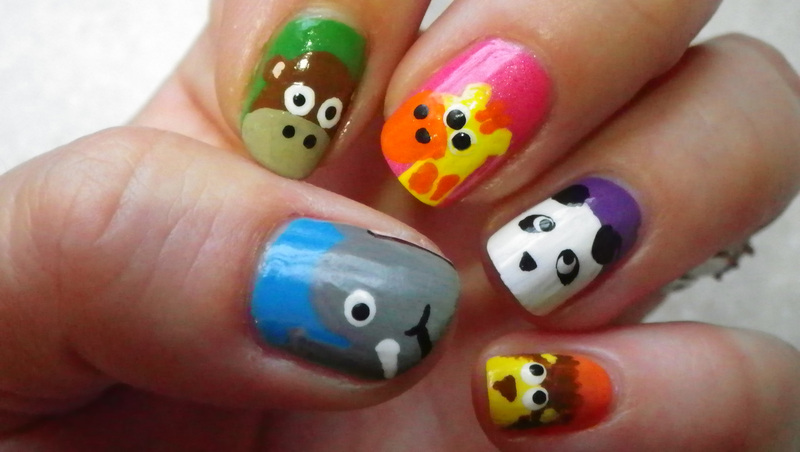 Loved these cute animals that I saw from Adventures in Acetone and I had to try it out. I didn’t have the exact colors but, I think it’s close enough. I also, did both my hands the same I didn’t do the food so, to speak on the other hand. 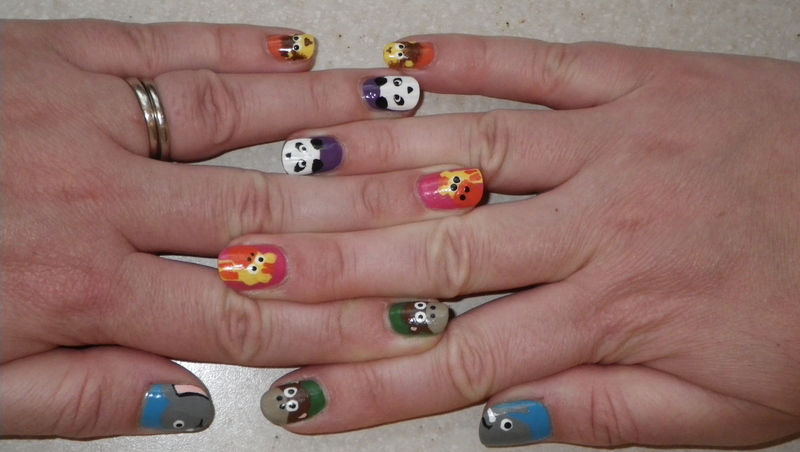 Nope, just two of everything (kinda like Noah’s Ark, ha, ha) I found the design very simple to do and easy for the non-dominant hand.